The Sangsters Bridge Demolition project is a prime example of the approach HEC takes on all of the projects we undertake. 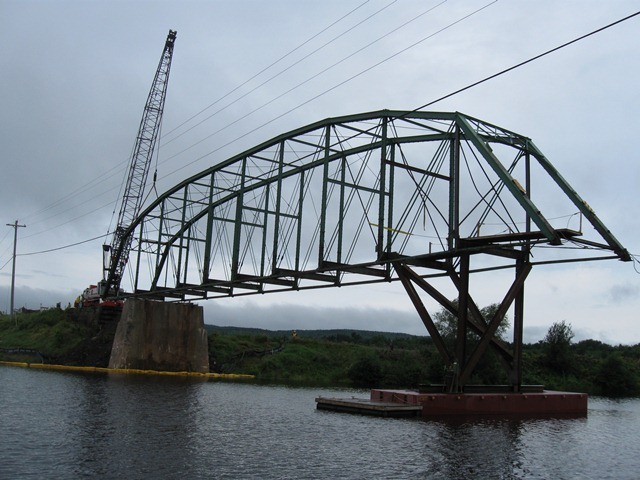 While working for a demolition contractor, HEC provided a value added alternative to the demolition of the existing through truss bridge saving both time and money for our client. Due to the limited crane sizes available (or economically viable) the original demolition plan, developed without input from HEC, proposed providing a temporary in-water support and lifting the bridge out in two sections. HEC quickly identified that, due to the light framing of the diagonal web elements of the truss significant reinforcing would be required to address reversal in axial loads resulting in large compression loads in extremely slender tension members. 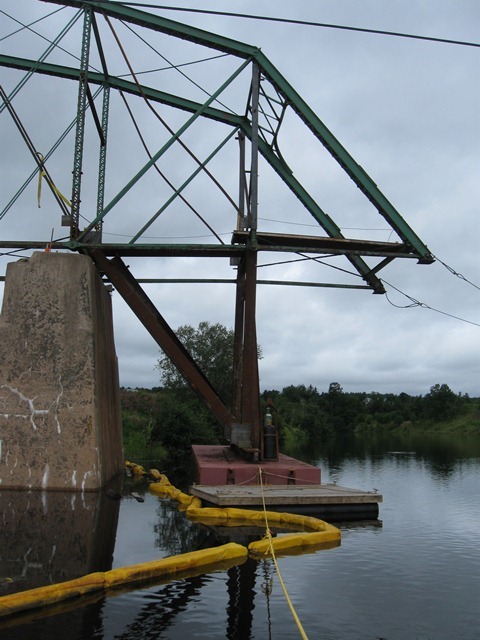 HEC developed a demolition plan that supported one end of the bridge on modular barge units owned by the contractor allowing the bridge to be floated to one approach and demolished in sections on land. 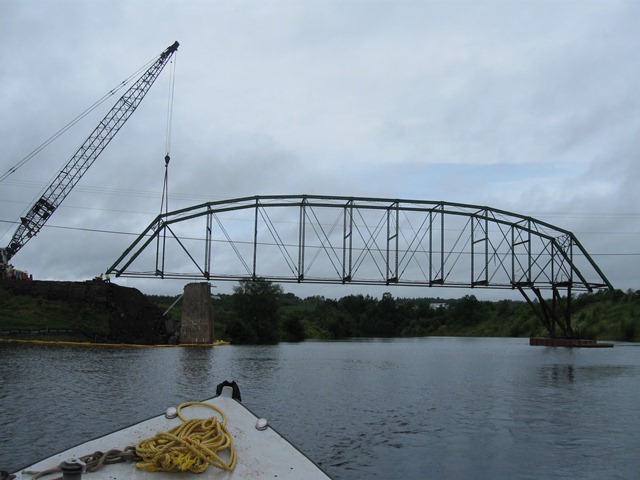 HEC conducted a full analysis of the bridge during all phases of the demolition, provided the detailed design of the supports on the barges and connection to the existing bridge structure as well as conducted a full floating stability analysis for the barges while supporting the bridge.